23 x 26 cm  p. : chiefly col. ill. Reprint. Originally published: London: Hutchison, 2003. 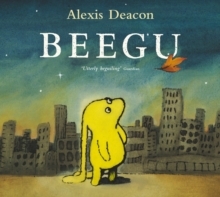 Beegu is not supposed to be on Earth. She is lost. She is a friendly little creature, but the Earth People don't seem very welcoming at all.